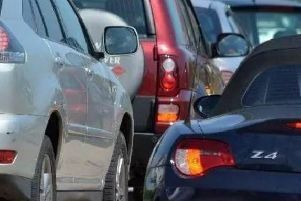 Motorists are being warned they face long delays around the East of England Showground because of a large agricultural show which starts today. The LAMMA event is the UK’s largest farm machinery, equipment show, and is being held at East of England Showground in Peterborough today, Wednesday (20 January) and Thursday (21 January). It is estimated up to 10,000 vehicles will travel to the event, which is just off the A605 and A1/A1M junction each day. The traffic has been made worse this morning by a broken down lorry on the A605. The event opens at 6am on Wednesday and finishes at 6pm on Thursday.